Whether you head a large department store in the center of downtown or run a small business located in a modest office building, you may find yourself at risk for theft, burglary or vandalism. Many small businesses wrongly believe that their larger counterparts will be the focus of such criminal activities, but thieves and vandals will often target smaller businesses or office buildings based on the assumption that these buildings will be less well-protected. For this reason, getting your business set up with a robust security system is smart, but the best systems are designed in response to your business’ particular security needs. Before making any decisions about what security system and features that your business should invest in, ask yourself the following questions about the nature of your business, employees and clients as well as the specific risks you are likely to face. Who needs access to your office? Understanding who needs to be able to enter your office or place of business and when they need access is key to designing the most secure entry system. Between employees, clients or customers and janitorial staff, crafting an access system that lets the correct people into the correct areas at the correct time is one of the most important steps you can take to safeguard your business. Once you understand who needs access and when, choosing the appropriate access system becomes simpler. Are Physical Locks and Keys Your Best Option? The most obvious system, and the one that many smaller businesses in particular still rely upon, is physical locks and keys. Unfortunately, a hard-key system presents a number of potential risks: keys can be lost requiring you to rekey your locks, it is difficult to limit the hours that employees can access your premises and keys can easily fall into wrong hands. If you decide that your business does need to rely on physical locks and keys, putting in place a system of limited key distribution and having a proper locksmith on call for any emergency rekeying is crucial. Do You Need A More Secure System? If practical for your business, a system that allows for more robust access controls provides far superior security and safety for your equipment and employees. A number of options provide such controls, including keycard access systems and electronic keyless entry systems based on keypad locks. These systems will allow you to limit the access to your premises during off-hours, preventing employees from accessing your office when you don’t want them to. Any janitorial staff that works at night can be given limited permissions only to the areas that they should enter while keeping them out of sensitive rooms. Because keycards cannot be copied and can be disabled remotely if they are lost, the potential for unauthorized persons to use an employee’s keycard to enter your office or business premises is greatly reduced. Where are the potential points of weakness on your business’ premises? Just as it is important to understand who does need access to your business, knowing where those who shouldn’t have entry might try to get in will be crucial to designing the proper security system. Any back entrances are often the first place burglars or robbers will try when attempting to get into your place of business. Choosing the correct door with the proper security features for this entrance is key. Egress doors – or doors that can be opened from the inside to exit in case of emergency while they are securely locked from the outside – can help balance the safety of your employees and clients in case of a fire or other emergency while safeguarding your office. Any large amount of glass that is easily accessible from street level can also become an attractive entrance point for a thief or vandal. 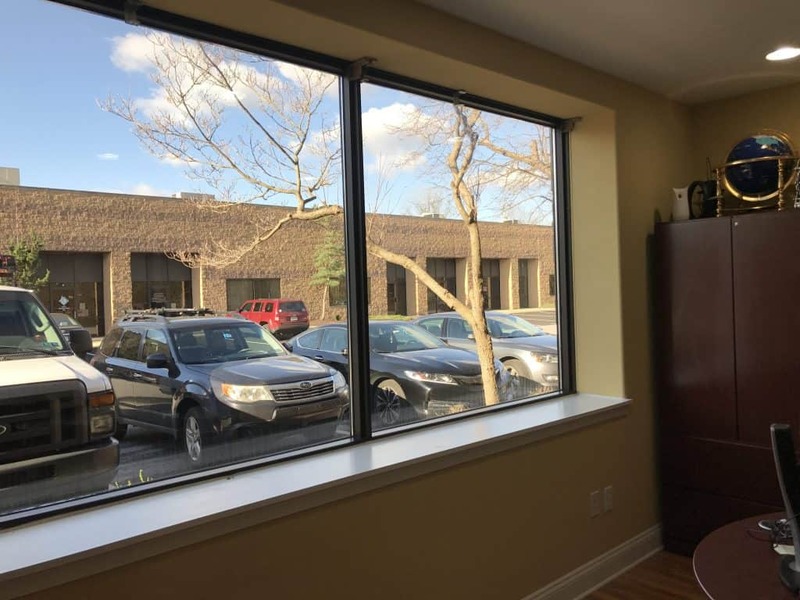 If your business has this feature, window tinting can help improve the security of your windows. Among its many other benefits, window tinting helps provide reinforcement for glass in the same way that a screen protector can help prevent your smartphone from cracking. This added reinforcement can prevent thieves or vandals from gaining access to your office or business through the window. Additionally, if you are concerned about graffiti or other exterior defacement, window tinting helps make cleanup of vandalism much simpler. 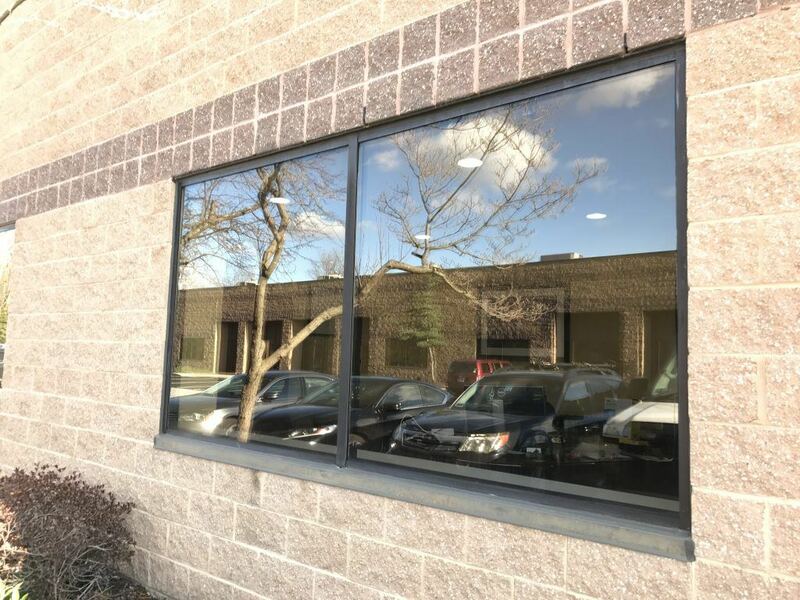 Great Valley Lockshop provides window tinting for a variety of commercial properties. Take a look at these images from a recent job we completed! What areas on your business’ premises need to be guarded? Keeping your employees and customers secure requires you to understand the areas on your premises where they might fall victim to safety threats such as muggers. Beyond any desire to protect your employees, you should be aware that you can be held responsible for any employee losses due to theft while they are working. If you have a parking lot that is poorly lit at night, installing additional lighting and security cameras can go far in deterring would-be criminals and safeguarding any employees who need to work later into the evening. Instituting a policy that ensures no one will have to walk to their car alone late at night can also help, as can redoing any landscaping that can offer a place for a potential criminal to lurk such as shrubbery or overgrown trees. Once you have fully evaluated the particular security risks that your office or place of business might face, you will be in a much better position to choose the correct office security system for your needs. Great Valley Lockshop is happy to assist with any further information you may need prior to installing a security system for your business. Serving the Pennsylvania, New Jersey, Delaware and Maryland area, our expert security team is available to answer any questions or provide a free estimate for service. Feel free to contact Great Valley Lockshop at 610-644-5334 or fill out a service request. We’d be more than happy to help with any or all of your commercial lock-related needs.